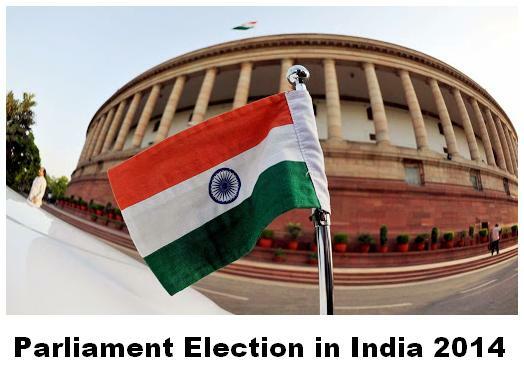 THE LOK Sabha elections 2014 are different from all previous elections. This is mainly due to the fact that the BJP, the principal opposition Party in the existing Parliament, has nominated Mr. Narendra Modi as its PM candidate, a person who has the blotch of the 2002 Gujarat riots on him as he was CM then and when over 2000 Muslims were killed. Whatever the Courts may say on technical, legal grounds, the perception remains among a considerable section of Indians and especially among Muslims, that Mr. Modi not only failed to stop the massacre of Muslims, rather he connived in it. Thus, his nomination as PM candidate filled the Muslim community with fear and apprehension and created a divide not experienced even in the elections after the Babri Masjid demolition. His speeches in the previous Assembly elections in Gujarat and during these elections have only given strength to that perception. Adding fuel to the fire are the statements of his close aides, Mr. Amit Shah, who exhorted voters in Muzaffarnagar, scene of recent communal riots, to cast their votes as ‘revenge’, and Mr. Giriraj Singh, saying that those who don’t vote for Modi will be sent to Pakistan; the statements of his opponents, like Mr. Abu Azmi, saying that Muslims who do not vote for the Samajwadi Party against Modi are not true Muslims and their DNA should be tested, have only complemented the aforementioned statements. PEOPLE’S Vigilance Committee on Human Rights (PVCHR), Varanasi and Human Rights Law Network (HRLN), New Delhi, with the support from European Union and Dignity Danish Institute Against Torture organised “Interface meeting with the Parliamentarian, policy makers and political parties, on the issue of Muslim minority in Uttar Pradesh” on December 9, 2013, in Speaker Hall, Constitution Club, New Delhi. “Attacks on Hindu and Christian communities in Pakistan and Bangladesh and targeting of Muslim and Christian communities in India are being increasingly used as a political weapon by the communal and fascist forces”, said Lenin Raghuvanshi, General Secretary, PVCHR. A documentary, ‘Muslim & Police: A Perspective’, prepared on the basis of interactions for almost three months at the grass root level with the members of Muslim community in various Muslim dominated districts of Uttar Pradesh was screened during the event. A book “Repression, Despair and Hope: Mapping of Police torture in four districts of Uttar Pradesh and Strengthening Human Rights Institutions” on 1500 cases of human rights violations after comprehensive fact finding exercises in the last 3 years was also launched. These cases relate to police torture and communal violence which have affected the minority Muslim community most in Uttar Pradesh. The following resolution was made during the event-The role of judiciary in condoning police atrocities and in not allowing the state to withdraw false cases lodged by police against persons declared innocent by a judicial commission (Justice Nimesh Commission). Ratification of UNCAT and enactment of Prevention of Torture Bill. Enactment of Communal Violence Bill immediately. Immediate established of rule of law and appropriate pro-survivors rehabilitation and relief to survivors of survivors pf communal riots in Muzzafarnagar, U.P. Politics is a strange world. Sworn enemies suddenly become friends in the name of seat sharing, and those holding membership for years suddenly realise that they have ideological differences with the party. While in school we read about people like Nehru and Azad. The kind of passion and vision they had for their country. One reason could be their own involvement in the freedom struggle. For them it was country first. THE All India Secular Forum has strongly condemned the recent attack on Swami Agnivesh by communal forces in a meeting organised by Garima Abhiyan in Bhopal. The meeting was called to make the members of Balmiki community take a pledge that they will not be carrying the night soil (human excreta) on their heads. Agnivesh was attacked when he came forward to touch the feet of an old lady from Balmiki Community. The gesture was to recognise the dignity of all the humans being equal. In a way it was to challenge the prevalent practices which derive their origin from caste system. The government has already come with legislation banning this dehumanising practice, which takes away the dignity of section of society. Agnivesh was attacked as he staunchly opposed this practice. Communal forces led by VHP are believed to be behind it. THE recent verdict by the Gujarat court on the case of Naroda Patia is, to say the least, revolutionary, in its content. This verdict has brought a new confidence in the minds of victims and activists about judiciary in secular India. The Judge Jyotsna Yagnik has enhanced the prestige of judiciary, especially through her observation that communal riots are like poison in secular India. One rarely hears such a remark in written judgements these days. FOR somebody beginning his political career in 1997 and in a space of 15 years changed four parties, (joining one twice, before being expelled again earlier this month) is surely a seasoned politician. To top it all Shahid Siddiqui is also the chief editor of an Urdu weekly. A potent combination indeed!